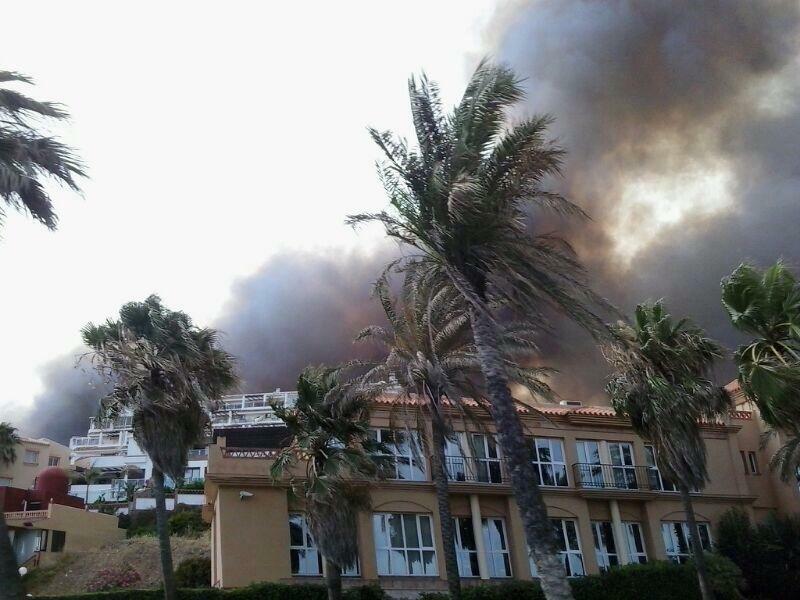 A nationally reported fire which closed in on Club La Costa World resort on the Costa del Sol, Spain, at the weekend, caused the temporary evacuation of 1,248 guests. The company’s carefully prepared contingency plans swung into action when the blaze on scrubland, fanned by high winds, threatened to spread to buildings on the west side of the resort. CLC World’s resort security team and key heads of department organised the evacuation from apartments and commercial premises, with staff guiding members and guests to safety. The fire broke out at around 17.00 on Sunday July 5th and emergency services, using eight aircraft and seven fire trucks, fought the blaze aided by a full complement of resort staff and security. By 21.30pm, the final all clear was received. A security guard at the resort was treated in hospital for smoke inhalation and exhaustion, but prompt and efficient action all round meant there were no other injuries and no damage to buildings. Come Monday morning, it was business as usual with the resort fully operational and services as normal. A spokesperson said: “We would like to give thanks to our staff, security team and the emergency services for managing the blaze and to our members and guests for their understanding. We have already received comments from some of those evacuated expressing their thanks for how the company handled this emergency. Paula Gittoes, a member, returned from the beach to find the fire ‘had taken a good hold’ and her party took the decision to leave the site. “CLC Staff (chefs, porters, garden staff) were all setting up hoses, asking people to evacuate down the hill and generally stepping up to the mark in a very professional way”, she said. Dramatic photos in the media showed how without this co-ordinated action, and the abating of the wind, the blaze could have had more serious repercussions.